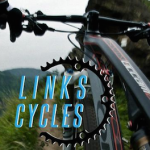 Tomorrow bicycle and triathlon gear retailer Links Cycles will open their Wynnum outlet in the old Casheez store in Edith Street. Owned and operated by local Cameron Brand, the store will join a number of other Links Cycles outlets around the country and will be the largest store in the group. Cameron has been heavily involved in the triathlon world for a long time and is a past state and national president for the Australian triathlon association. They will be open from 10am tomorrow and will be open at the Twilight Market on Saturday. The opening of Links Cycles will bring the number of empty shops in Edith Street down to six and when the Aboriginal health service opens (no date known at this point) we’ll still have five empties. We look forward to seeing these filled as well!